'Blank' Race Card - Add your own position. 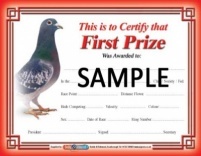 The best and most popular race award card in the world! 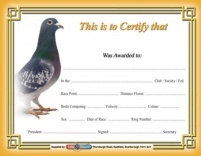 We are pleased to introduce our all new range of Premier Diplomas (Race Cards). Special position or show award? 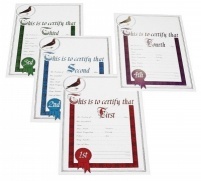 Our 'blank' position cards allow you to enter your own class or award. The only card for that coveted position.